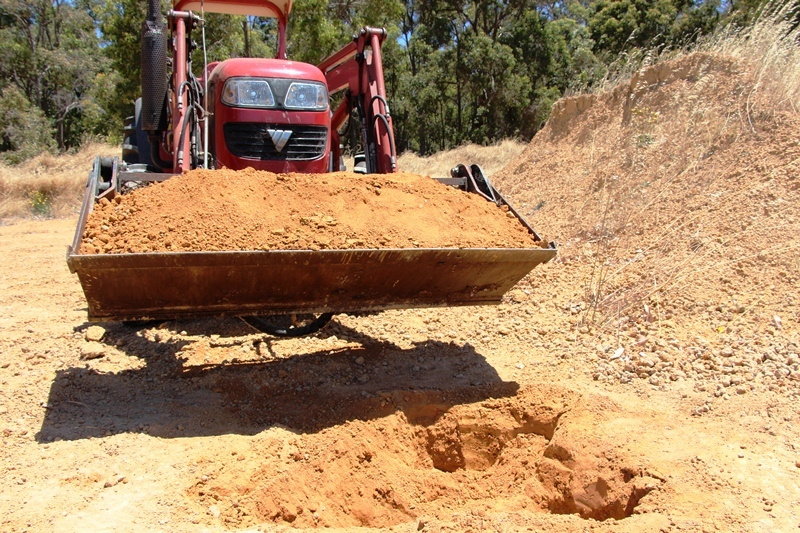 We have a whole range of different soil types and resources on the property. In addition to the obvious ones of land, timber and water, we have sand, gravel and clay. We used the gravel for the driveway through the property, the sand as a pad for the house and have mixed both together with some cement to form our poured earth walls round the house. We dug up a bucket load of clay to make our earth oven. We had to break it up with the post hole augur on the back of the tractor and learned that slow and steady is the best option for getting through the clay. Brad then dug it out with the shovel.